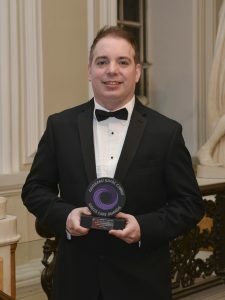 A singing care worker’s night in the limelight at the sector’s “Oscars” ended on a high note – after he won a top prize. His job as the activities organiser at the home, which provides residential, nursing and dementia care, is to brighten the lives of the 76 residents aged 60 to 103, by arranging activities and entertainment. 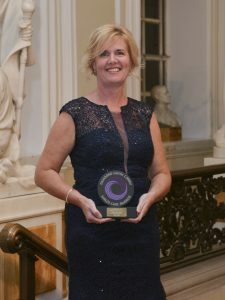 A nurse whose skills and experience have transformed a Carmarthen care home in a matter of months has won a national award. 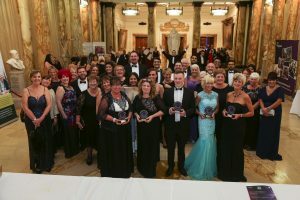 Just 12 months after joining the staff of Plas y Dderwen in Johnstown Julie Evans was honoured in this year’s Wales Care Awards. A Nantyglo woman has enjoyed gold and silver celebrations within 48 hours. 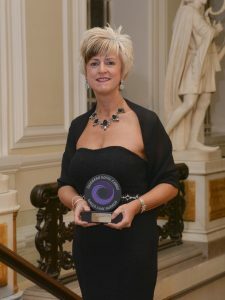 For two days after her 50th birthday Helen Beecham was among the recipients at this year’s Wales Care Awards at a ceremony in City Hall, Cardiff at which the MC was opera singer and TV presenter Wynne Evans. 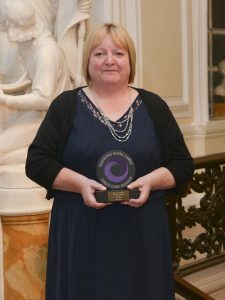 A dementia unit boss who says that one of the greatest rewards of her job is to hear the praise of residents’ relatives for the care they are receiving has struck silver in major national awards. 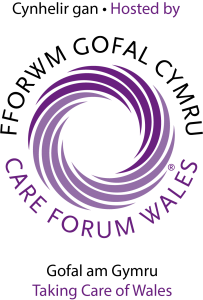 Romanian-born Cristina Poama, who lives in Welshpool, is a trained nurse who has been head of the Memory Lane dementia unit at Rhallt Care Home in the town since earlier this year. 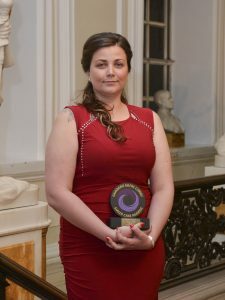 A former A&E nurse who left her native Romania to become a care worker in Wales has struck gold at the industry’s ‘Oscars’. 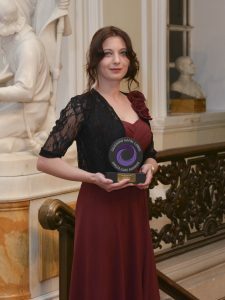 Registered nurse Andreea Schiopu, who works as deputy manager at Mill View Care Home in Ystrad, Rhondda Cynon Taff, scooped the top gong in the Nurse of the Year category at the Wales Care Awards 2016.